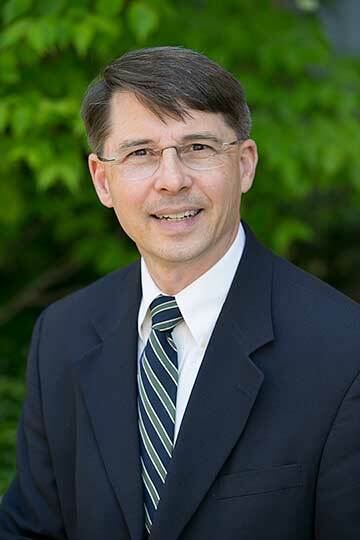 Frank Thielman joined the Beeson Divinity School faculty in 1989, teaching courses in Greek exegesis. He is a noted New Testament scholar, concentrating primarily in the Pauline epistles. Thielman is the author of many books including, Romans (Zondervan Exegetical Commentary on the New Testament, 2018) and Theology of the New Testament: A Canonical and Synthetic Approach (Zondervan, 2005). The complete list of his publications is listed below. He is a member of the Studiorum Novi Testamenti Societas (SNTS), and is an ordained Presbyterian (PCA) minister. He and his wife, Abby, have three adult children, a daughter-in-law, and a grandson. Romans. Zondervan Exegetical Commentary on the New Testament. Grand Rapids: Zondervan, 2018. Ephesians. Baker Exegetical Commentary on the New Testament. Grand Rapids: Baker Academic, 2010. Theology of the New Testament: A Canonical and Synthetic Approach. Grand Rapids: Zondervan, 2005. The Law and the New Testament: The Question of Continuity. Companions to the New Testament. New York: Crossroad, 1999. Philippians. NIV Application Commentary; Grand Rapids: Zondervan, 1995. Paul and the Law: A Contextual Approach. Downers Grove, Ill.: Inter-Varsity, 1994. From Plight to Solution: A Jewish Framework for Understanding Paul's View of the Law in Galatians and Romans. Supplements to Novum Testamentum 69. Leiden: E. J. Brill, 1989. Re-released in paperback, Eugene, OR: Wipf & Stock, 2007. “Paul’s View of Israel’s Misstep in Rom 9.32–33: Its Origin and Meaning,” New Testament Studies 64 (2018), 362–377. “Worship in the New Testament” in David S. Dockery, James Earl Massey, and Robert R. Smith, eds., The Church: Worship, Tradition, and Engagement: Essays in Honor of Timothy George (Eugene, OR: Wipf & Stock, 2018), 64–78. “The Road to Nicaea: The New Testament,” in Timothy George, ed., Evangelicals and the Nicene Faith: Reclaiming the Apostolic Witness (Beeson Divinity Studies; Grand Rapids, MI: Baker Academic, 2011), 34–44. “The Group and the Individual in Salvation: The Witness of Paul” in Richard R. Cook and David W. Pao, eds., After Imperialism: Christian Identity in China and the Global Evangelical Movement (Studies in Chinese Christianity; Eugene, OR: Pickwick Publications, 2011), 136-153. “God’s Righteousness as God’s Fairness in Romans 1:17: An Ancient Perspective on a Significant Phrase,” Journal of the Evangelical Theological Society 54 (2011), 35–48. “Ephesians” in G. K. Beale and D. A. Carson, eds., Commentary on the New Testament Use of the Old Testament (Grand Rapids: Baker Book House, 2007), 813–833. “The Atonement” in Scott J. Hafemann and Paul R. House, eds., Central Themes in Biblical Theology: Mapping Unity in Diversity(Nottingham, U.K.: Inter-Varsity Press, 2007), 102–127. “Ephesus and the Literary Setting of Philippians” in Amy M. Donaldson and Timothy B. Sailors, eds., New Testament Greek and Exegesis: Essays in Honor of Gerald F. Hawthorne (Grand Rapids: Eerdmans, 2003), 203–221. “Evangelicals and the Jesus Quest: Some Problems of Historical and Theological Method,” Churchman 115 (2001), 61–73. “The Place of the Apocalypse in the Canon of St. Gregory Nazianzen,” Tyndale Bulletin 49.1 (1998), 155-57. “Law and Liberty in the Ethics of Paul,” Ex Auditu 11 (1995), 63-75. “Unexpected Mercy: Echoes of a Biblical Motif in Romans 9-11,” Scottish Journal of Theology 47 (1994), 169-81. “Law (in Paul/Paul and the Law),” The Dictionary of Paul and His Letters (Downers Grove, Ill.: InterVarsity Press, 1993), 529-42. “The Coherence of Paul’s View of the Law: The Evidence of First Corinthians.” New Testament Studies 38 (1992), 235-53. “The Style of the Fourth Gospel and Ancient Literary Critical Concepts of Religious Discourse” in Persuasive Artistry: Studies in New Testament Rhetoric in Honor of George A. Kennedy, ed. Duane F. Watson (Sheffield: Sheffield Academic Press, 1991), pp. 169-83. “Another Look at the Eschatology of Eusebius of Caesarea.” Vigiliae Christianae 41 (1987), 226-37.